Wifi.com appears to have changed ownership. 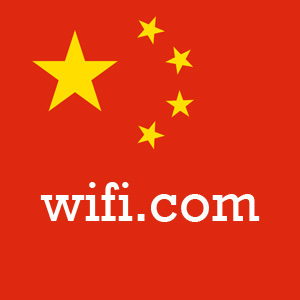 The domain name Wifi.com appears to have been sold or moved to new ownership in China. First notable sale of the domain was for $225,000 dollars in 2006 via Sedo, according to Namebio. Wifi.com is a premium, short .com matching a very common, popular technology term, widely used in communications; the latter, is properly spelled with a dash in-between. According to the current homepage at Wifi.com, the web site is “under construction.” The content most likely changed on Friday, April 24th. The WHOIS info has changed as well, according to DomainTools. Previous records of the landing page showed that the asking price at the time was a minimum of $1,500,000 dollars, and there is no question about the domain’s price being in the seven figure range, if indeed it has been sold. According to our research, the new owner appears to be the Shanda Group, with assets of over $8 billion USD in various industries.